I've been making a few wood crafts lately. Well, trying to. And here's my latest one. It's a rolling pin holder. I had an idea for it when flipping through a magazine and saw a similar one. But that one had a heck of a price tag. And I immediately thought, "I wander if I could make that?" So I just looked at the pic, which is actually quite different, but has the basic same "bone structure." Then I drew out a sketch directly onto the wood for the first side, (that holds the pins.) Then I cut it out with my band saw thing. Make sure to lay the pin in the grooves to get a good deep sitting that will fit before you finish! Then it was easy to just lay that piece directly on top of the other side and trace it, so that they would be the exact same. Then I just played with different sizes of wood for the top until I got it looking how I wanted it. I used finishing type nails to construct it, so that they weren't be that visible. Then I painted it a basic black and added a cute stenciled saying, "Primitives, Blessings from our past." I priced this for $24.99 in my Peddlers Mall booth, but then I brought it back home the following day. I didn't want to part with it. lol. I now am using it to hold my "Vintage" styled rolling pins. Hi Pamela! I'm glad I can help you with some ideas. Love it when I run into people on here with the same likes in crafts. A good feeling to know people even look at these posts. Thanks so much! 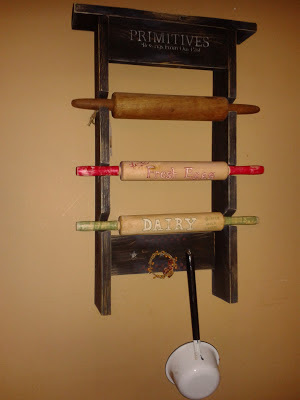 Hello, I am in love with your rolling pin holder! Black and primitive looking is what I am looking for. Is this one for sale? 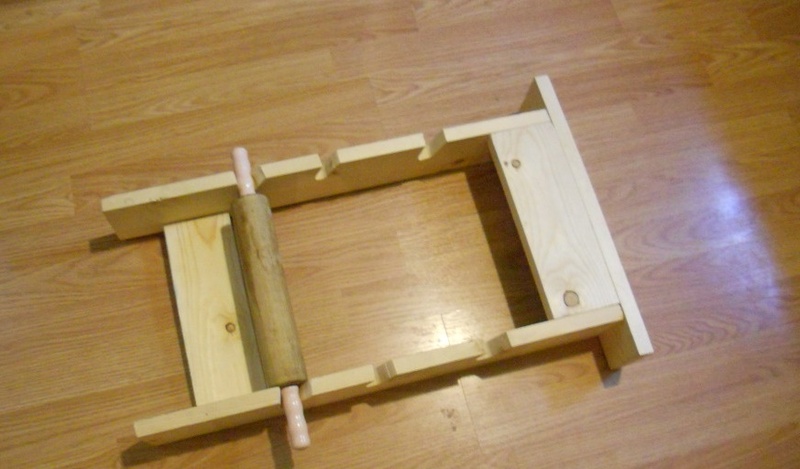 What is the size of it and what size rolling pins does this hold? You are very crafty and have great taste in decor! I did at first take this to my booth for sale for $24.99, but I loved it so much, I went and brought it back home and am using it. 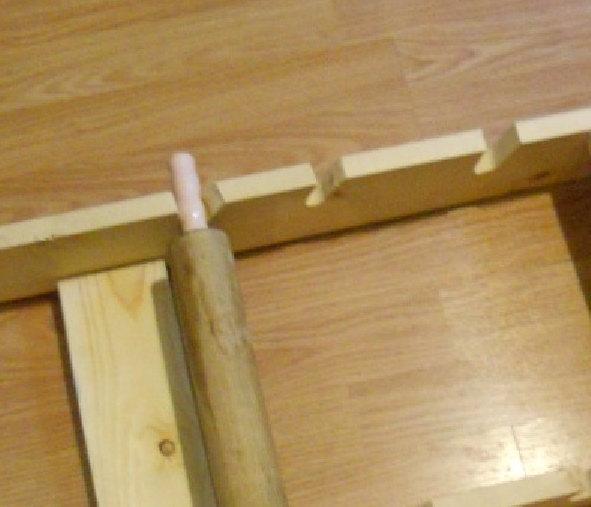 It holds the basic size, average rolling pins. I have tons rolling pins, so I just tried a few till they fit. I need to make some more to sell this time, lol, and if I do, I'll let you know. Thanks again!